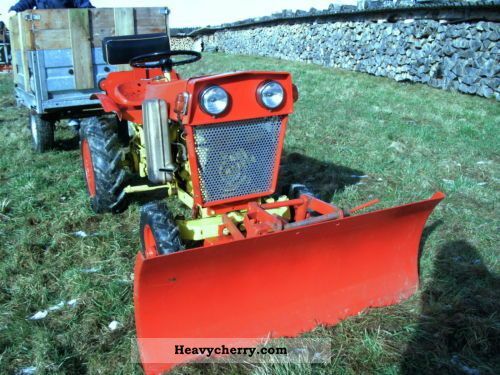 Oldheimerschätzchen one, a mini tractor Gutbrod works in very good condition, according to age. He is working properly, we have always used it to push snow and we have on the back - as shown - mounted a pulley, which could put pallets. He has a lot of accessories - see photo - such as a trailer, snow plow, the lifting device, even a water pump, where you can pump water from the creek. He starts, the lights work, letter and registration papers are available, brakes work very well. Has always been on dry land, get by very well.